Treat your skin to Clinique's Dramatically Different Moisturizing Lotion+, the third step in your skincare routine. Delivering a hydrating veil, the rich and creamy moisturiser quenches skin's thirst whilst strengthening its barrier, so essential moisture stays locked in for all day hydration. After use, skin will look soft, hydrated and radiant with a healthy glow. Skin looks youthful for longer. Quick absorbing. - K.N. Ideal for very dry to dry, and dry combination skin. 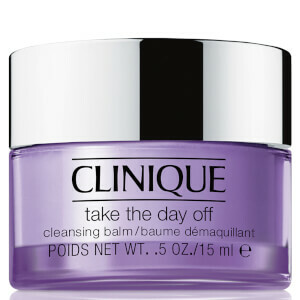 Receive a free Clinique Take the Day Off Cleansing Balm 15ml when you buy 2 Clinique products, one being a foundation. Gift applied automatically at checkout. While stocks last.